Bally leather belt bag with silvertone hardware. "Break 77" is made in Italy. 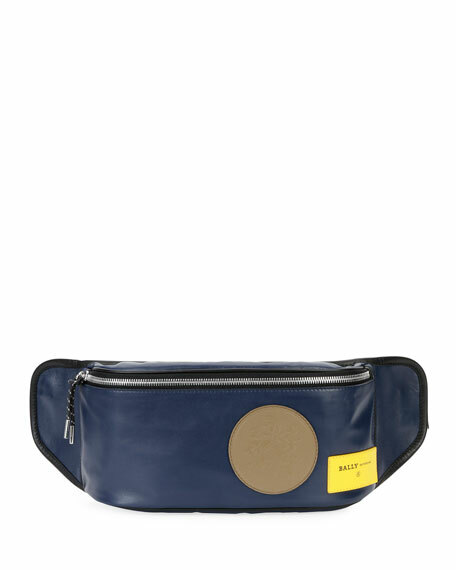 Alexander McQueen mini belt bag in solid lamb leather. Adjustable web strap; can be worn at waist or crossbody style. 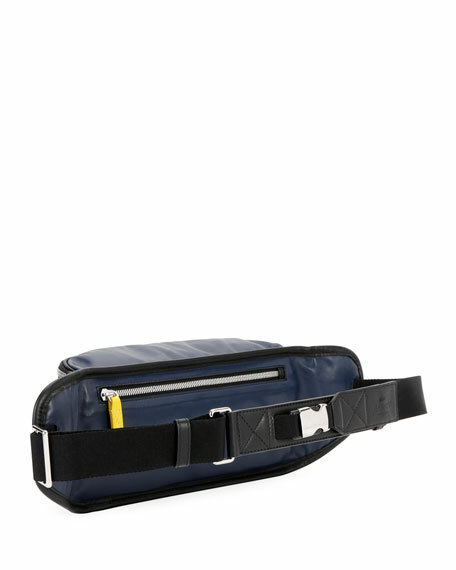 Alexander McQueen mini belt bag in solid lamb leather. Adjustable web strap; can be worn at waist or crossbody style. Zip-around top closures. Front key clip. Made in Italy. Bottega Veneta men's belt in signature intrecciato woven calf leather. Slim, flat metal pin buckle in gunmetal. Approx. 1.4"W. Adjustable fit. Made in Italy.